(exhibition catalogue) Goodrich, Lloyd. 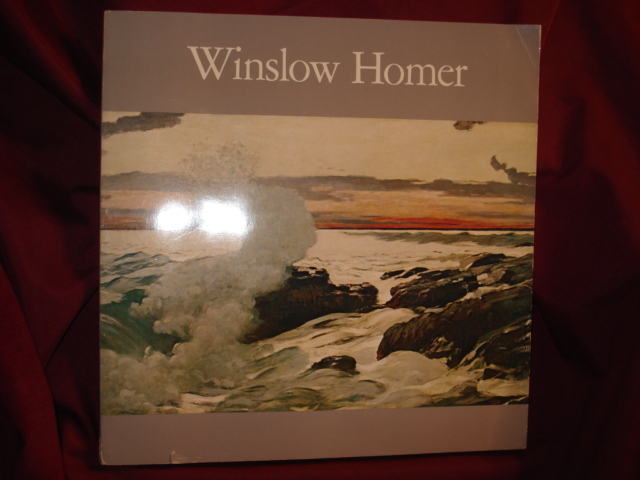 Winslow Homer. Photo available. New York. Whitney Museum of American Art. 1973. 4to. Soft cover. First edition. Illustrated in black, white and color. Fine copy (very small tear on bottom edge). 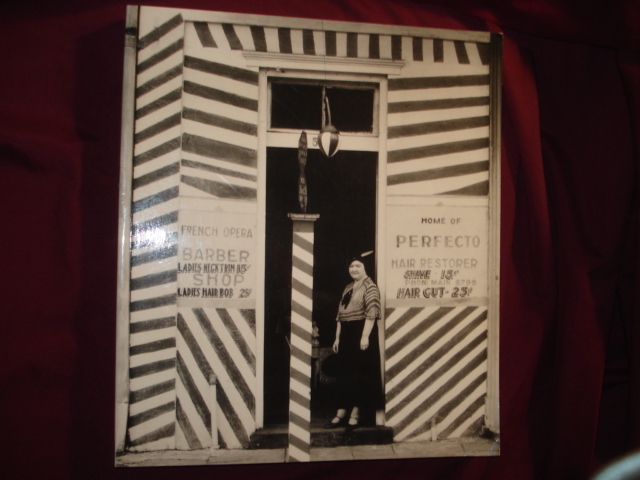 (exhibition catalogue) Hambourg, Maria Morris. Walker Evans. Photo available. New York. The Metropolitan Musuem of ARt. 2001. 4to. Soft cover. First edition. Illustrated. Fine copy. (exhibition catalogue) Hand, John Oliver. 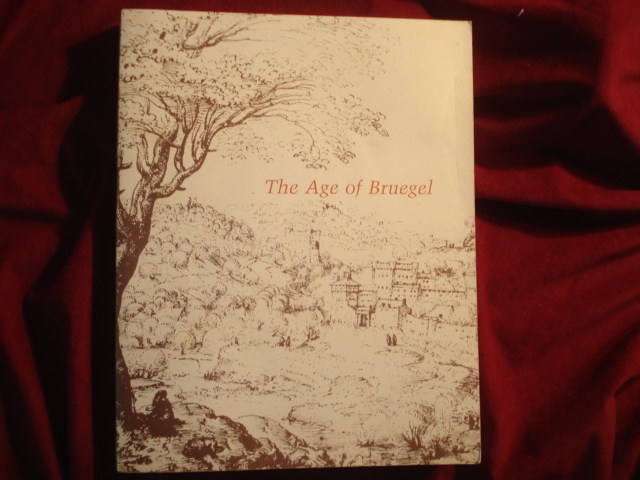 The Age of Bruegel: Netherlandish Drawings in the Sixteenth Century. Photo available. Washington. Cambridge University Press. 1986. 4to. Soft cover. First edition. Illustrated. Fine copy. (exhibition catalogue) Hillier, Jack. Japanese Prints. 300 Years of Albums and Books. Photo available. London. British Museum Publications. 1983. 4to. Soft cover. Reprint. Illustrated. Fine copy. (exhibition catalogue) Ishikawa, Chiyo. A Gift to America. 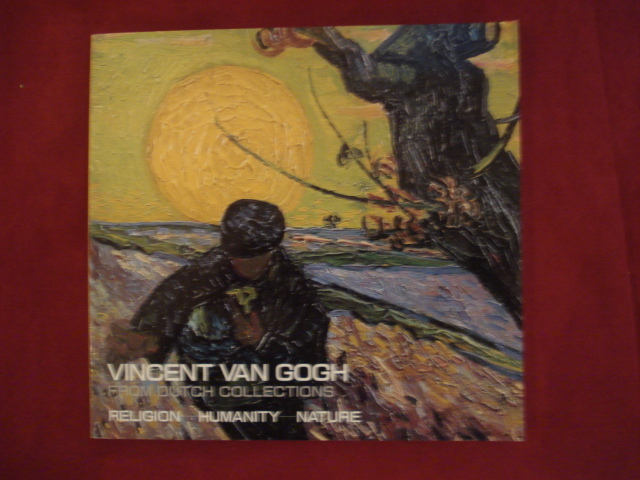 Masterpieces of European Painting from the Samuel H. Kress Collection. Photo available. New York. Harry N. Abrams. North Carolina Museum of Art. 1994. 4to. Soft cover. First edition. Illustrated in black, white and color. Very good copy. Light shelf wear, corners bumped. (exhibition catalogue) Ishikawa, Chiyo. A Gift to America. 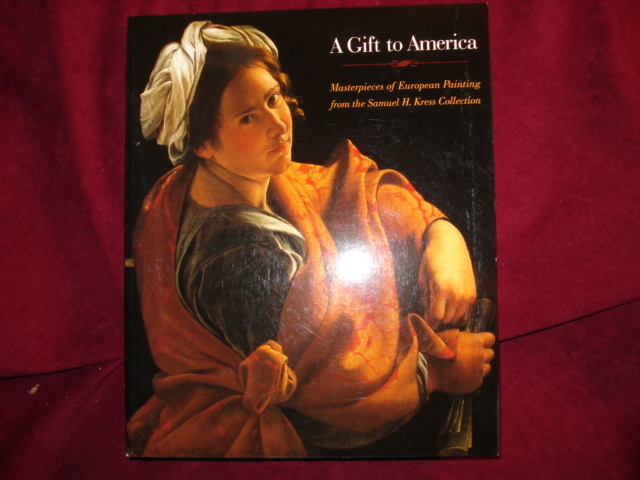 Masterpieces of European Painting from the Samuel H. Kress Collection. Photo available. np. Harry N. Abrams. 1994. 4to. Soft cover. First edition. Illustrated in black, white and color. Fine copy. (exhibition catalogue) Jensen, Alfred. 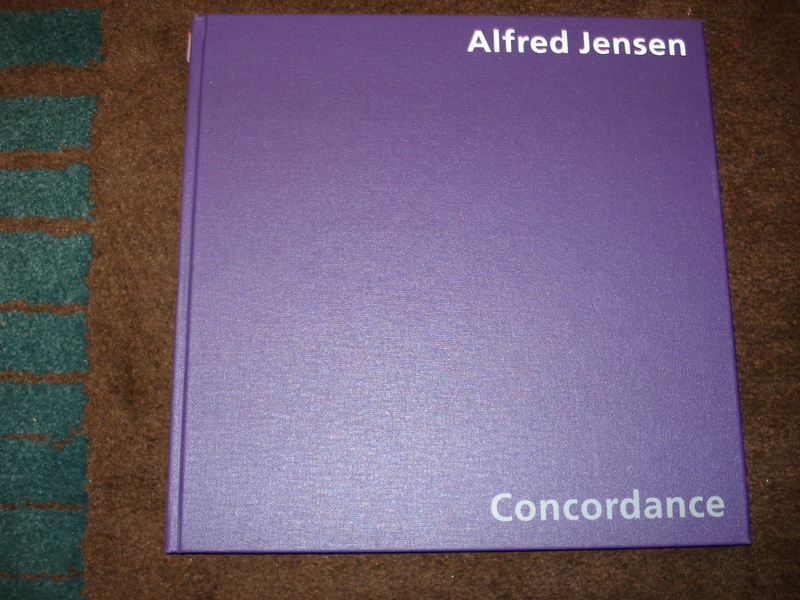 Alfred Jensen: Concordance. Photo available. New York. Dia Center for the Arts. 2003. 4to. Hard cover. First edition. Illustrated in black, white and color. Fine copy. (exhibition catalogue) Kusin, Vesna. Dimitrije. Mit Zene. The Myth of the Woman. Photo available. Katarinin. Gradec. 1996. 4to. Soft cover. First edition. Illustrated in black, white and color. Fine copy. (exhibition catalogue) Lemonedes, Heather. 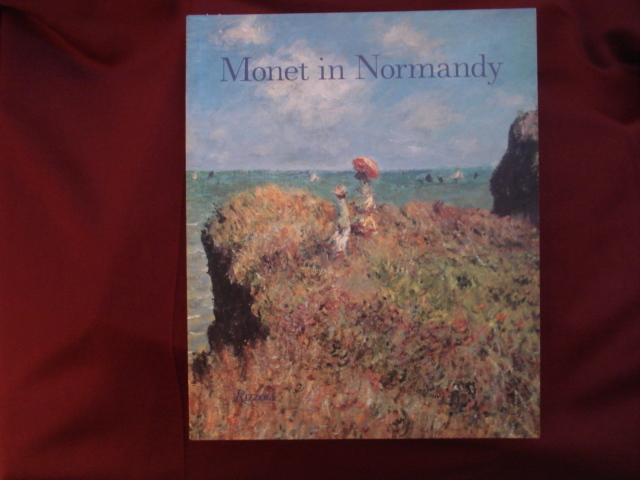 Monet at Normandy. Photo available. New York. Rizzoli. 2007. 4to. Soft cover. First edition. Illustrated in black, white and color. Fine copy. 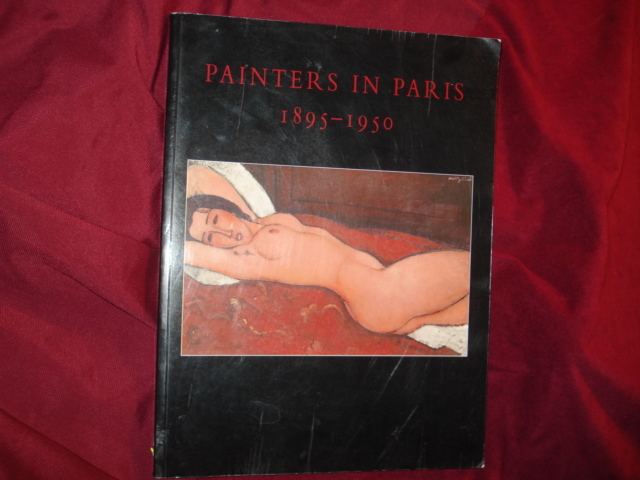 (exhibition catalogue) Lieberman, William S. Painters in Paris. 1895-1950. Photo available. New York. Harry N. Abrams. Metropolitan Museum of Art. 2000. 4to. Soft cover. First edition. Illustrated in black, white and color. Fine copy. (exhibition catalogue) Lovell, Margaretta. Venice. The American View. 1860-1920. Photo available. San Francisco. Fine Arts Museum of San Francisco. 1985. 4to. Soft cover. First edition. Illustrated in black, white and color. Fine copy. (exhibition catalogue) Ludwig, Peter. 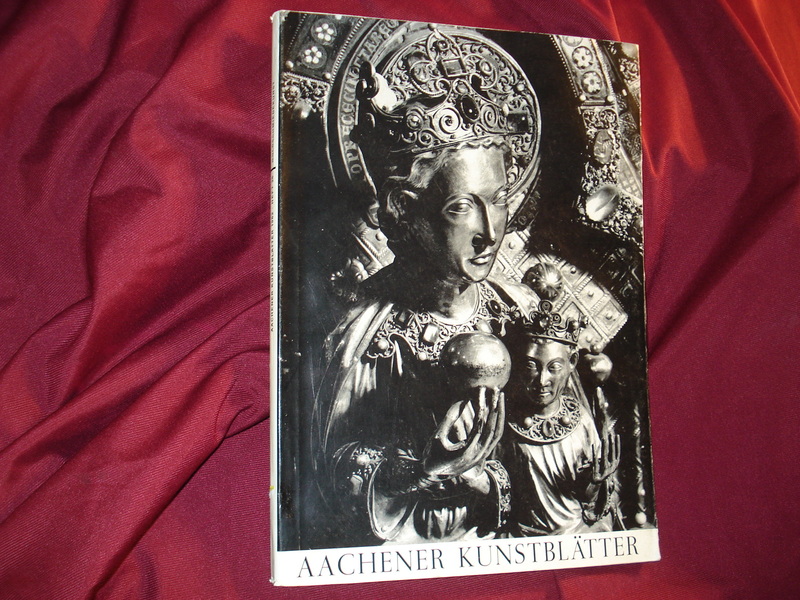 Aachener Kunstblatter. Die Grossen Jahrhunderte der Aachener Goldschmiedekunst. Photo available. Aachen. Verlag des Aachener Museumsvereins. 1962. 4to. Soft cover. First edition. Illustrated. Fine copy. (exhibition catalogue) Mann, Margery. Imogen! 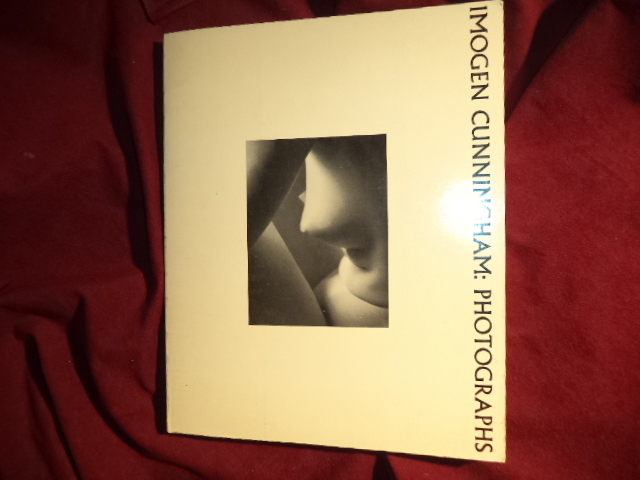 Imogen Cunningham Photographs. 1910-1973. Photo available. Seattle. University of Washington Press. 1978. 4to. Soft cover. First edition. Illustrated. Near fine copy (very light shelf wear). (exhibition catalogue) Mann, Margery. Imogen! 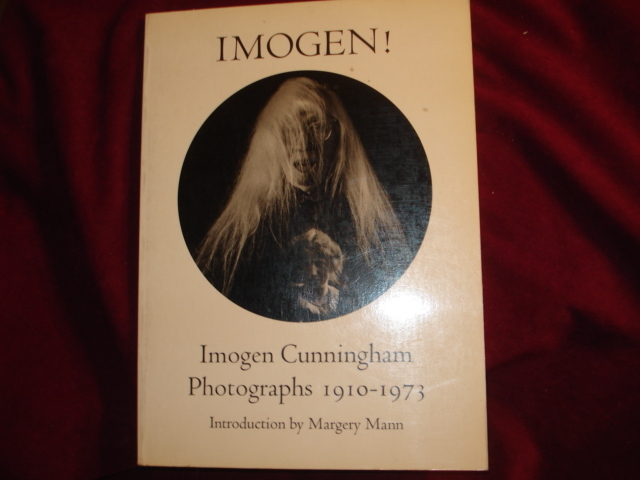 Imogen Cunningham Photographs. 1910-1973. Photo available. Seattle. University of Washington Press. 1978. 4to. Soft cover. First edition. Illustrated. Important reference work. Fine copy. (exhibition catalogue) Moneta, Daniela P. (ed). Chas. T. Lummis. 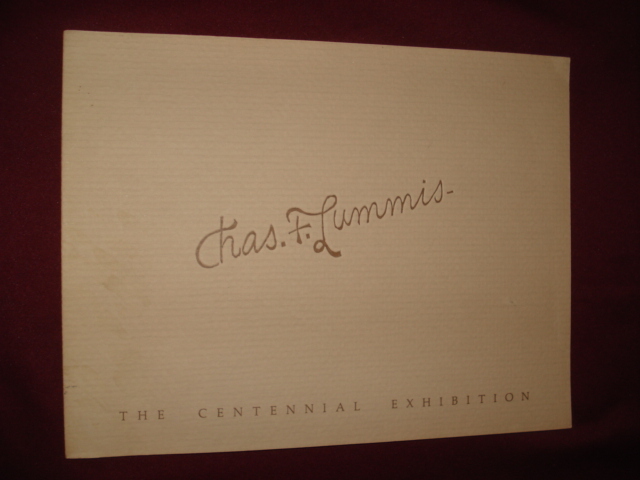 The Centennial Exhibition. Commemorating His Tramp Across the Continent. Photo available. Los Angeles. Southwest Museum. 1985. 4to. Soft cover. First edition. Illustrated. Fine copy. 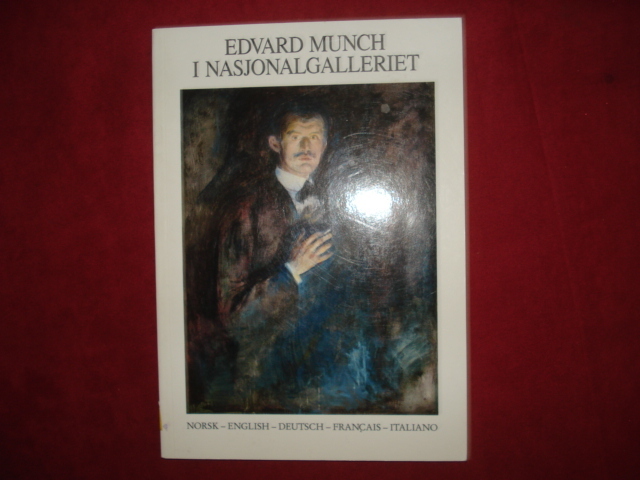 (exhibition catalogue) Munch, Edvard. Edvard Munch I Nasjonalgalleriet. Photo available. Oslo. Nasjonalgallerite. 1998. Octavo. Soft cover. First edition. Illustrated in black, white and color. Fine copy. (exhibition catalogue) Nash, Steven. 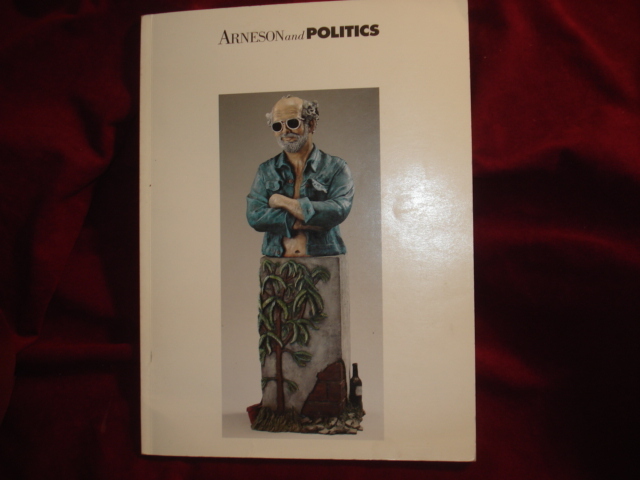 Arneson and Politics. A Commemorative Exhibition. Photo available. San Francisco. Fine Arts Museums of San Francisco. 1993. Octavo. Soft cover. First edition. Illustrated in black, white and color. Fine copy. (exhibition catalogue) Niemeijer, J.W. Eighteenth-Century Watercolors from the Rijksmuseum Printroom, Amsterdam. Photo available. Alexandria. Art Services. 1993. Octavo. Soft cover. First edition. Illustrated in black, white and color. Fine copy. (exhibition catalogue) Ogura, Tadao. Vincent van Gogh. From Dutch Collections. Religion, Humanity, Nature. Photo available. Osaka. National Museum of Art. 1986. 4to. Soft cover. First edition. Illustrated in black, white and color. Fine copy. (exhibition catalogue) Orr, Lyn Federle, et al. Monet. Late Paintings of Giverny from the Musee Marmottan. Photo available. New Orleans. New Orleans Museum of Art. 1994. 4to. Soft cover. First edition. Illustrated in black, white and color. Fine copy. (exhibition catalogue) Pal, Pratapaditya (ed). 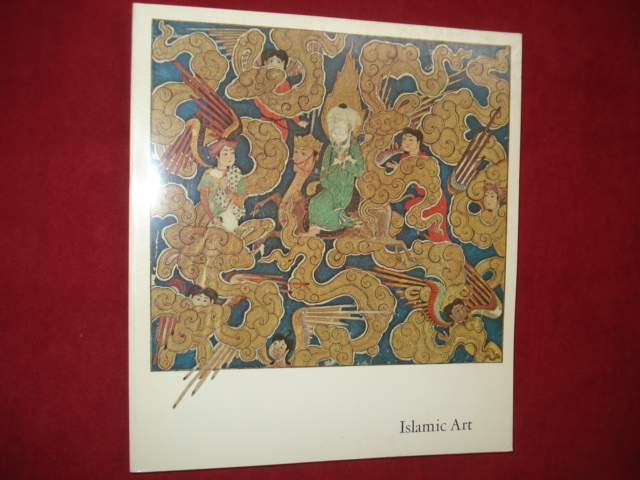 Islamic Art. the Nasli M. Heeramaneck Collection. Photo available. Los Angeles. Los Angeles Museum of Art. 1973. 4to. Soft cover. First edition. Illustrated in black, white and color. Fine copy. (exhibition catalogue) Pal, Pratapaditya (ed). Islamic Art. the Nasli M. Heeramaneck Collection. Photo available. Los Angeles. Los Angeles Museum of Art. 1973. 4to. Soft cover. First edition. Illustrated in black, white and color. Fine copy (light scuff mark on front panel). (exhibition catalogue) Pal, Pratapaditya. The Sensuous Immortals. A Selection of Sculptures from the Pan-Asian Collection. Photo available. Los Angeles. Los Angeles County Museum of Art. 1978. 4to. Soft cover. First edition. Illustrated in black, white and color. Very good copy. Light shelf wear. (exhibition catalogue) Pal, Pratapaditya. The Sensuous Immortals. A Selection of Sculptures from the Pan-Asian Collection. Photo available. Los Angeles. Los Angeles County Museum of Art. 1978. 4to. Soft cover. First edition. Illustrated in black, white and color. Near fine copy (very light shelf wear). (exhibition catalogue) Pedritti, Carlo. Leonardo. 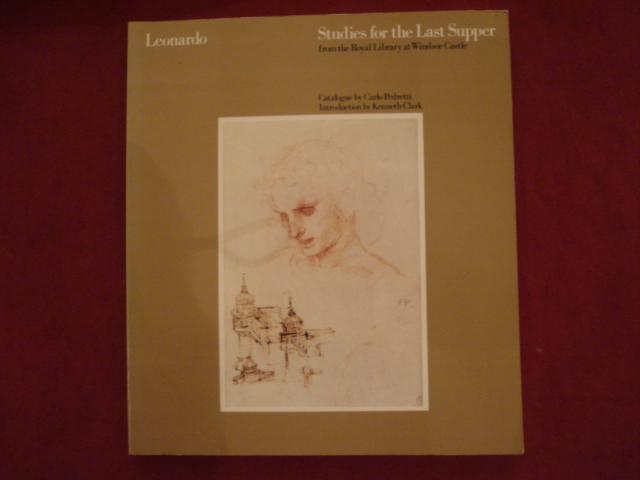 Studies for the Last Supper. From the Royal Library at Windsor Castle. Photo available. Cambridge. Cambridge University Press. 1983. 4to. Soft cover. First edition. Illustrated in black, white and color. Fine copy.